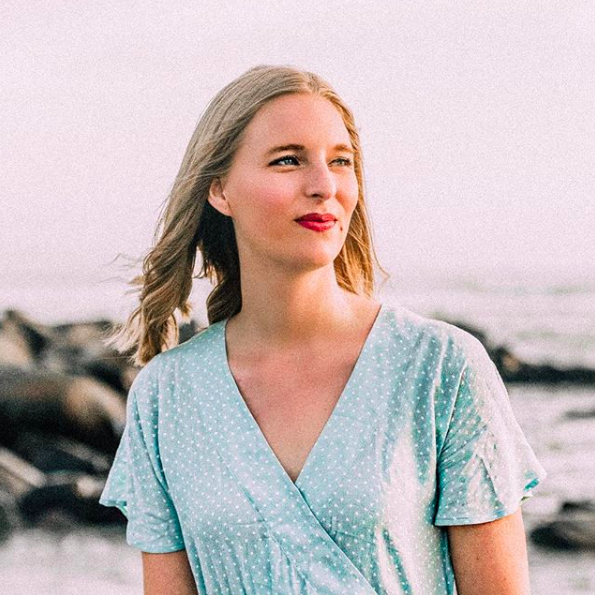 As contradictory as it may seem, I've been noticing camouflage prints more and more (get it, because camouflage is supposed to make you more invisible). There was once a time when I was all about the camouflage - I distinctly remember this awful gray sweater I would wear, and I'm sure I had an assortment of pink *girly* camo products as well. Naturally I overdid it, and then proceeded to boycott the print at all costs. It was a remnant of my poor tween fashion choices - and the poor fashion choices of the early 2000s in general - and I was probably fatigued (oh, puns) by the amount of times I saw camo (mostly the unflattering digitized desert kind) in my heavily military hometown. 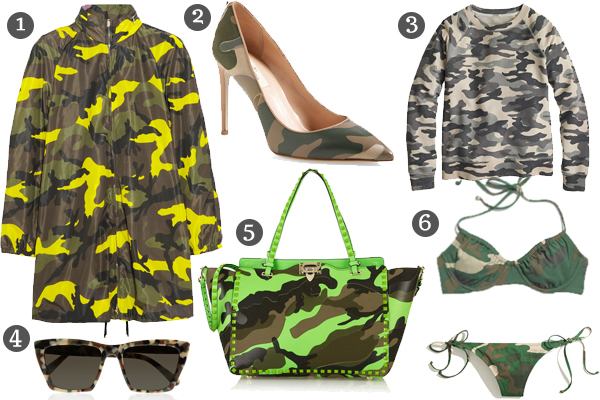 The way I saw it, camouflage in its normal form was too practical to be fashionable. When I was younger, at least, the only way to make the print "girlier" was to tinge it pink, but I quickly saw how cheesy that was. Nowadays I'm coming back around to the idea of incorporating the military print back into everyday wear. Army and navy influences have always been there in fashion, and with the recent popularity of the army green jacket, I'm not all too surprised to see camo come back in style. The key to camo's present success has not been "girly-ing it up" with pink hues and rhinestones. No, today's woman is more natural and desires to keep her appropriated garment pieces more authentic. Instead the print has been applied to feminine pieces - swimsuits, classic pumps, form fitting T-shirts and skinny jeans - and accessorized with airy silks and ladylike extras to give that perfect feminine/masculine balance. Never super been into Camo but Madewell has some fun pieces right now. You should check 'em out! Nice post! 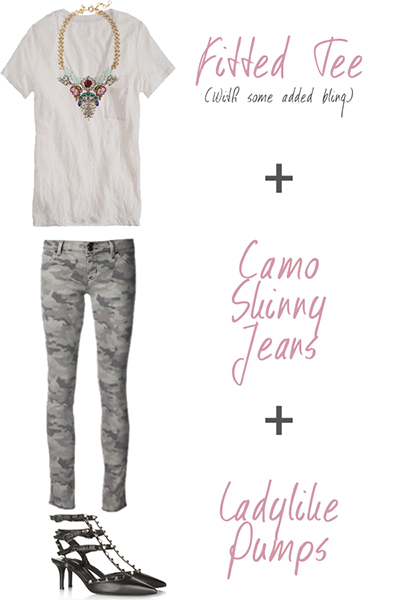 I love the camo pieces at Madewell! They are perfectly edgy without being too literal, if that makes sense.